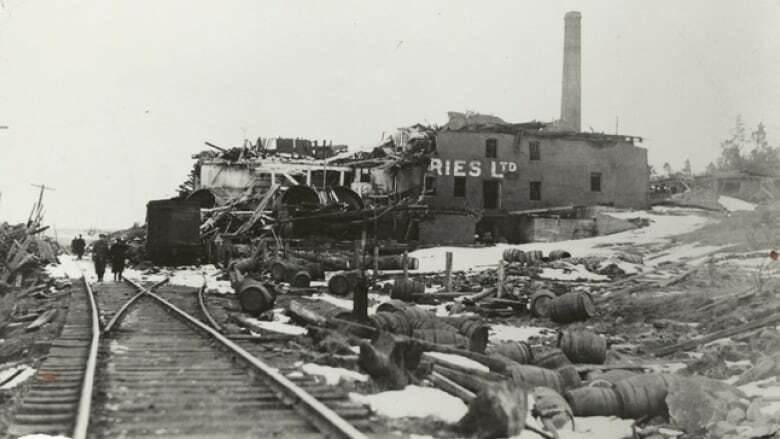 The Halifax Explosion wiped out the Army & Navy Brewery in Turtle Grove, killing seven employees, including brewmaster Conrad G. Oland, and set in place a chain of events that led to the creation of Moosehead Breweries. Moosehead Breweries Ltd. didn't exist in 1917, but the Halifax Explosion helped set in motion a chain of events that helped establish Canada's largest independent brewery in New Brunswick. 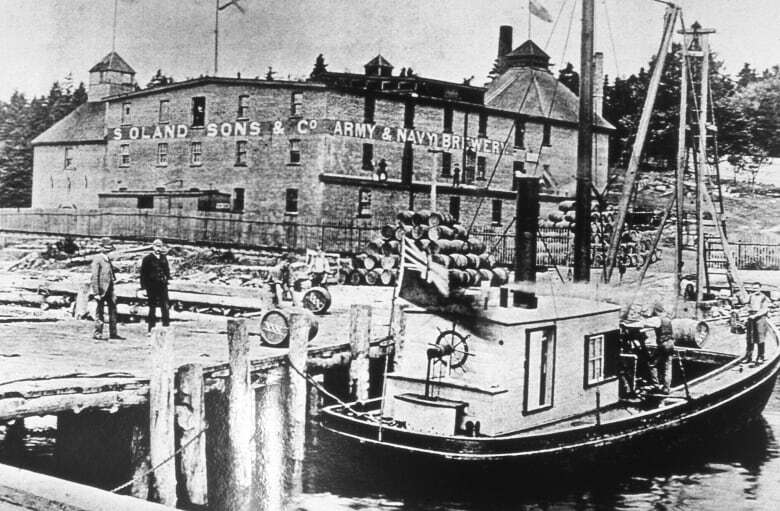 At the time, one of the breweries owned by the Oland family was the Army & Navy Brewery, which was located in Turtle Grove on the Dartmouth side of Halifax harbour. The Olands also had a brewery on Agricola Street in Halifax. On the morning of Dec. 6, 1917, the Mont-Blanc, a French munitions ship, and the Imo, a Norwegian steamship carrying Belgian relief supplies, collided in Halifax harbour. The ensuing explosion, which killed 2,000 people and injured another 9,000, remains the worst disaster in Canadian history. Did German PoWs help rebuild Halifax after the 1917 explosion? 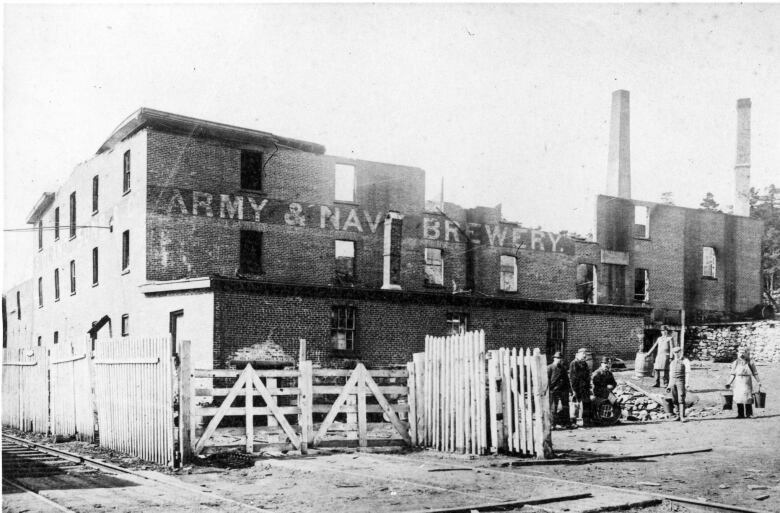 The blast collapsed the roof at the Oland brewery on Agricola Street, but it was the Army & Navy Brewery that suffered the greatest loss by far: seven employees, including brewmaster Conrad G. Oland, were killed and the building was reduced to rubble. On the day of the Halifax Explosion, Derek Oland, the executive chairman of Moosehead Breweries, said his father, seven-year-old Phillip Oland, was preparing for communion in a classroom with a nun at Sacred Heart School on Spring Garden Road in Halifax. "When the explosion took off, they were facing the board because she was writing something on the board for him to explain it," said Oland. "Of course, a lot of the damage that was done to the citizens of Halifax, Dartmouth, was broken glass from the concussion. Fortunately, they avoided that by not facing the windows." Oland said the nun told young Phillip to head home and when he got outside, he saw a number of dead horses on Spring Garden Road. Oland said those were his father's main memories of the explosion. When it was time to get the brewery back up and running, the Olands looked across the Bay of Fundy to another port city: Saint John. Using money from an insurance settlement and compensation from an explosion fund in 1918, George Bauld Oland bought the Red Ball Brewery on Union Street, where an Irving building is located today. 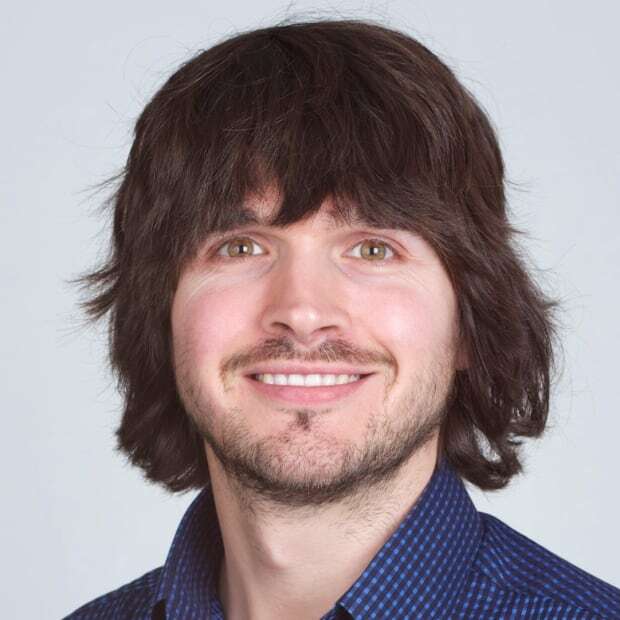 The purchase price was $31,000, according to the Dalhousie University Archives. Part of the Oland family's motivation in purchasing a brewery in New Brunswick was to diversify. "It was a production facility they could use to supply the Nova Scotia market, as well as New Brunswick," said Oland. The purchase of the brewery was the family's first foray into New Brunswick and allowed it to establish a foothold there. A decade later in 1928, the company purchased the James Ready Brewery, another Saint John brewery. 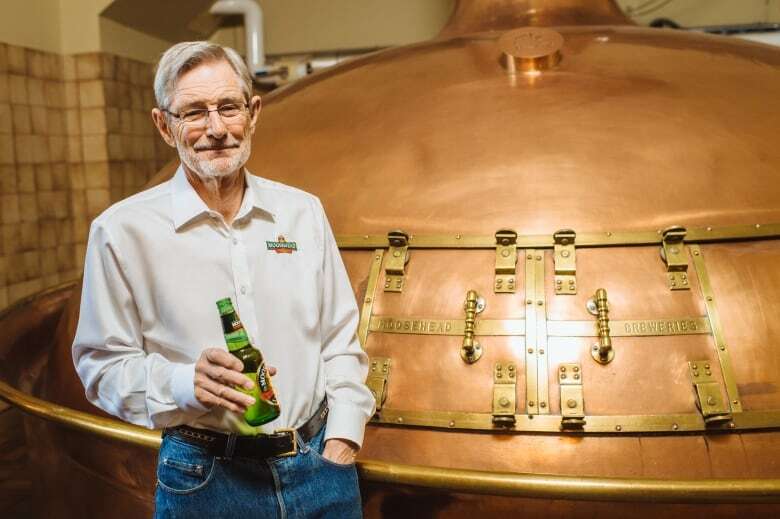 According to the company's website, while reading through company books after the purchase, George Bauld Oland came across the word Moosehead and five years later, the company released a beer called Moosehead Pale Ale. In 1947, Moosehead Breweries was officially born. Today, the very name Moosehead is synonymous with New Brunswick, despite the Oland family's Nova Scotia origins.